On August 16th, 2017, Simon Adwelllande, Ambassador of Benin, and Mr. Huang Zhaojin, President of Overseas Cooperation Committee of China Asian Economic Development Association, visited the Group. Yutian County leaders attach great importance to this matter and repeatedly pointed out that this is not only a valuable opportunity for the Yushen Group, but also a good opportunity for the external economic development of Yutian County. Mr. Zhang Baozhong, deputy director of the County People’s Congress, and Mr. Li Zhenxing, Director of the Industrial Park accompanied him all the time and participated. Reception and guidance work. 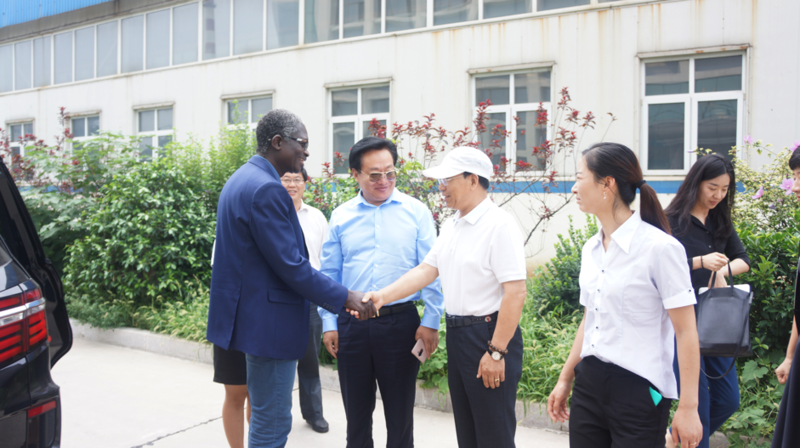 At 11 am, after several hours of long journeys, Ambassador Benin and the Overseas Cooperation Committee arrived at the Yushen Group. The Yushen Group presented flowers to the ambassadors and leaders of the Overseas Cooperation Committee. After a brief conversation, the two parties began a formal meeting. The leaders of Yutian County first expressed their warm welcome to Ambassador Benin’s arrival and paid great attention to this meeting. 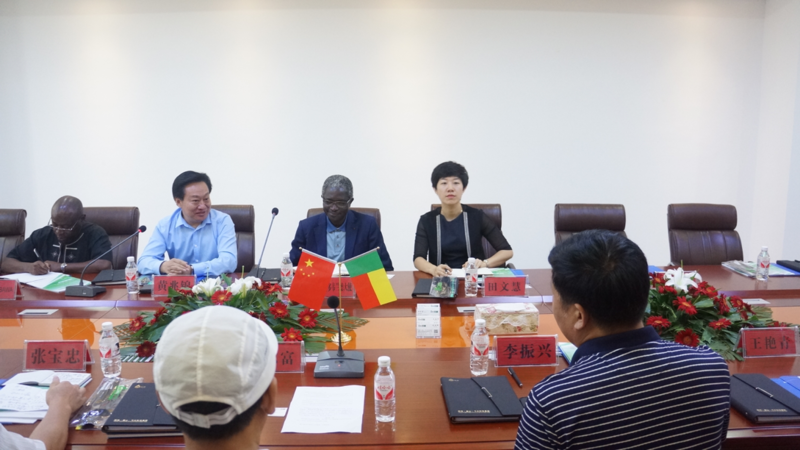 The Ambassador of Benin, Ambassador Simon Adoveland, stated that Benin’s economic development is dominated by agriculture, and Yushen Group has advanced technology in scientific agriculture and hopes that Yushen Group will help Benin in the direction of agricultural economic development. 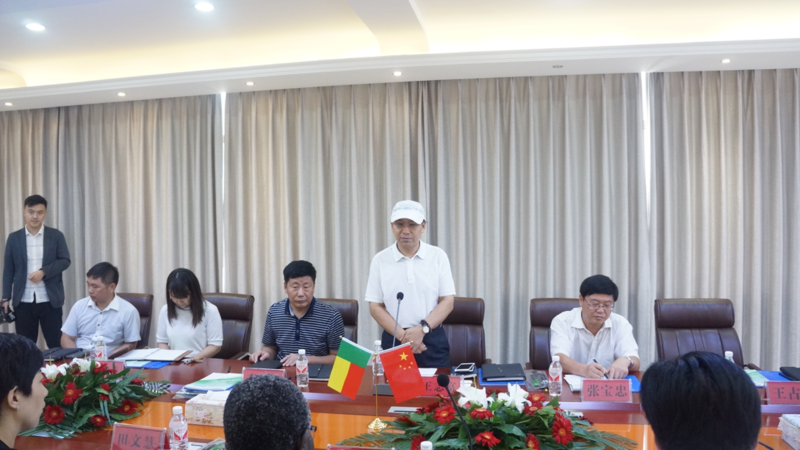 Wang Dong said that we are confident that we can help Benin to improve its agricultural level. We have a one-million-meter experimental base in Uzbekistan, mainly for cotton production research, and we have achieved great results. We use efficient agricultural drip irrigation. Technology has helped many users. Afterwards, the two sides exchanged views on the scientific development of the agricultural economy, and they also watched the corporate information leaflet of the Yushen Group. 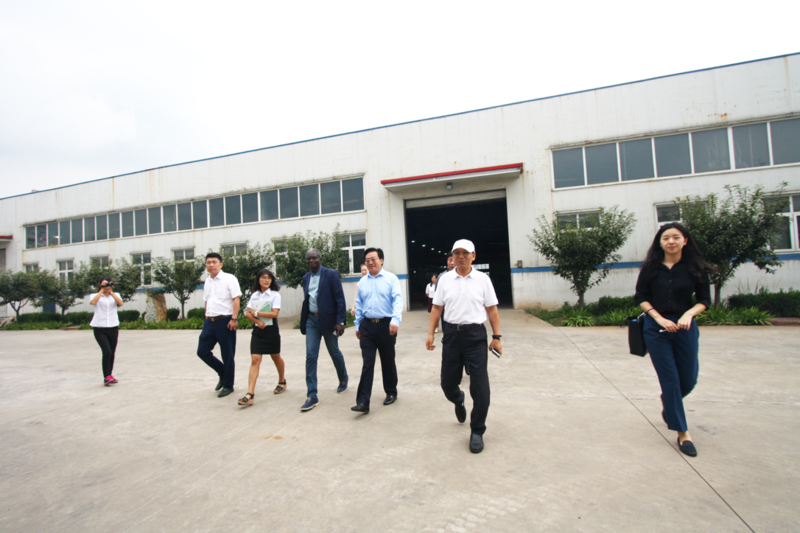 On the afternoon of the 16th, Ambassador Benin and the Overseas Cooperation Committee team visited the Yushen Group workshop. 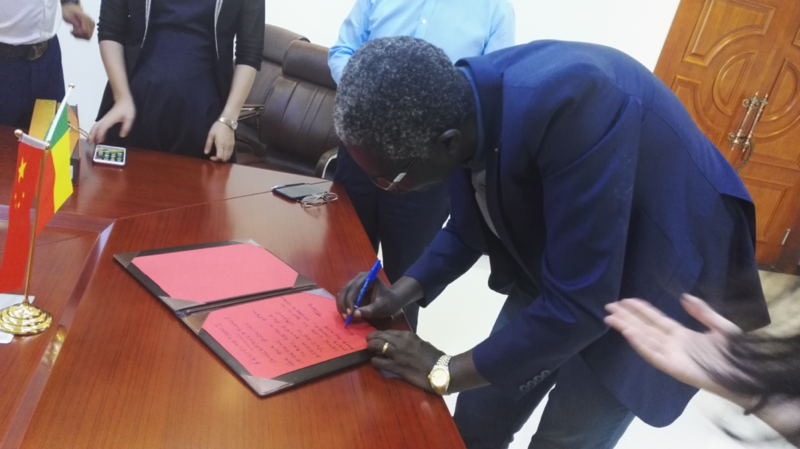 After the visit, the two sides formally signed strategic cooperation on related issues of agricultural cooperation.